There are more than 50,000 videos available on VEVO. Pop, rap, rock, R&B, and country – the choices are endless. It is a good place to watch your favorite artist’s music videos, you can easily get approach to MV from Lady Gaga, Avril, Justin Bieber, Adele, Beyonce, Rihanna, etc. However, it’s pity that VEVO.com does not provide video download service. If you want to download & convert VEVO music videos to any other video or audio formats for extensive playback on iPhone, iPad, Samsung and other players, you need a VEVO downloader and video converter. And Any Video Converter Free is the one that you can use to download VEVO music videos and convert to MP3 or other formats for free. "Anyone has a confirmed tutorial to how to download VEVO music videos? Found some amazing music video of Avril, but I do not know how to download VEVO music videos for offline viewing. And it seems harder to save them to MP3 or M4A for my iPhone. If you get any tip, just share with me." "Found some interesting music videos on VEVO and I want to download them to my iPad Mini. So I can enjoy them on my long boring journy. What shall I do to get the music videos from VEVO easily? Can I download them straight to my iPad Mini or do I need to download to PC first and then transfer to my iPad?" Any Video Converter Free is a handy VEVO video downloader to help you download your favorite music videos on VEVO easily. Besides, it is also able to convert the VEVO video music to MP3 format for your enjoying. Now let’s check how to download music video from VEVO and then convert to MP3 format. Download and install it on your PC first. And then run this VEVO Video Downloader. 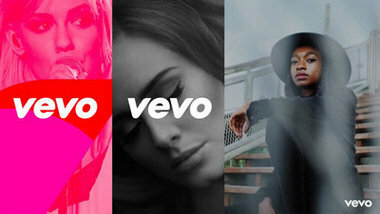 Note: Or you can download the Mac version of Any Video Converter to download VEVO music vidoes. Search VEVO to get the music video you want to download. Then copy the URL link. 1) Click on the Add URLs button, and paste the download link to the pop-out box. 2) Download VEVO Video directly without conversion, please click Start Download button, the video will be downloaded instantly. Or you can click "Download Music Files" from the drop-down button to download VEVO music videos to lossless m4a music. For some reason, some VEVO videos may not be downloaded sucessfully. In this case, you can choose to record the VEVO videos by Any Video Converter Ultimate. If you want to convert VEVO music videos to MP3, click Output Profile > Audio Files and select MP3 Audio(*.mp3) format from the drop down list. Under the preview window field, you can also manually set the output parameters. For novice users it is recommended to select the default parameter. Click Convert Now! button to download & convert VEVO music videos. After that, click "Output Folder" button on the left bottom or right-click to choose "Open Destination File Location" to get the output files. The program can also burn the downloaded VEVO videos to DVD disc. Unfold Output Profile, and then choose DVD video NTSC Movie or DVD video PAL Movie according to your TV system. 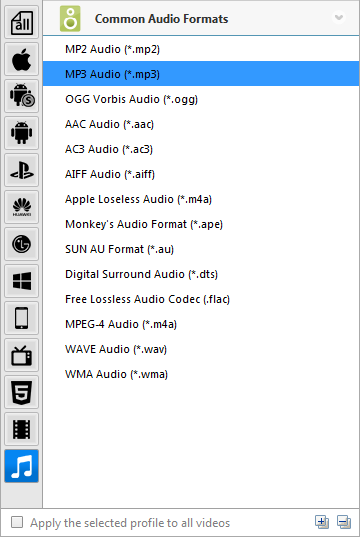 Or you can choose AVCHD 720P Movie(*.m2ts) or AVCHD DVD 1080P Movie(*.m2ts) as output format. (Read how to burn video to DVD). This software provides an easy way to combine and join multiple videos or music together. Just select the videos you want to join and check the "merge output" you can finish it easily. The program allows you to trim any video files into several clips, cut off unwanted borders from a video frame to feature a favorite clip, rotate to bring the action to put a new angle on the action, customize brightness, contrast, saturation to get the best effect. 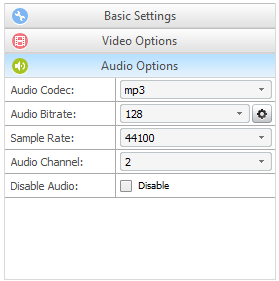 This program adds the MP4 Faststart option to play back mp4 video in the stream way. With this function, you can upload the converted mp4 videos to the online video sharing sites such as YouTube, Vimeo, etc. While the video has been uploaded to the website, the video can be played before the entire video will be downloaded.